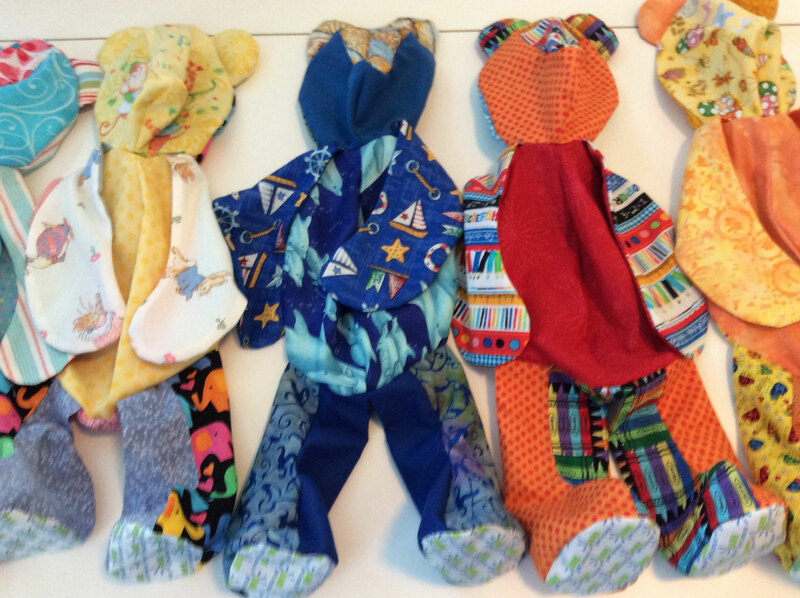 Members sewed up Rare Bears for children with rare diseases, quilts for the children of migrant workers in Arcadia (delivered through the Catholic Charity program), blankets for babies in the NICU (Neonatal Intensive Care Unit) at Sarasota Memorial Hospital (SMH) and quilts, pillows & hats for cancer patients at SMH. 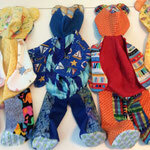 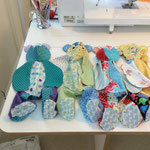 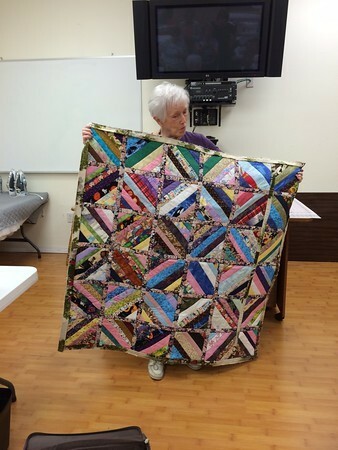 Below is Donna showing her Strip Quilt method for their charity quilts and photos of the Rare Bears. 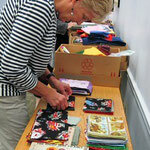 Members made hundreds of kits to introduce children to sewing on machines and guiding them through to project completion. 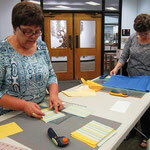 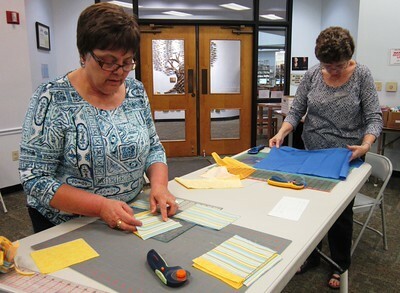 They supported our youth summer sewing camps by cutting out their classroom kits. Members made pillows for the Manatee County Hospital Breast Care Unit needed by patients undergoing breast biopsies and procedures. They also sewed up totes and pillowcases for Manatee County Young Life, a faith based organization helping teens grow spiritually in an environment of caring adults and made ditty bags for Hope Family Services. 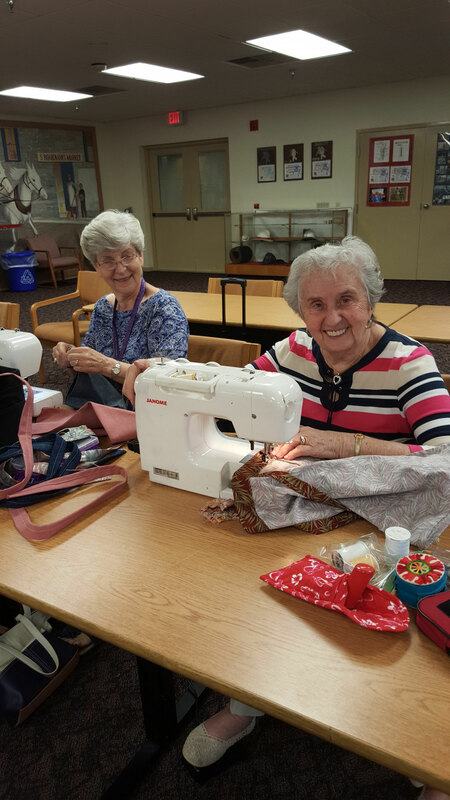 Members made infant layettes and toddler clothing for the Englewood Home for Mothers and the Venice Area Pregnancy Care Center which serves families in Sarasota county. 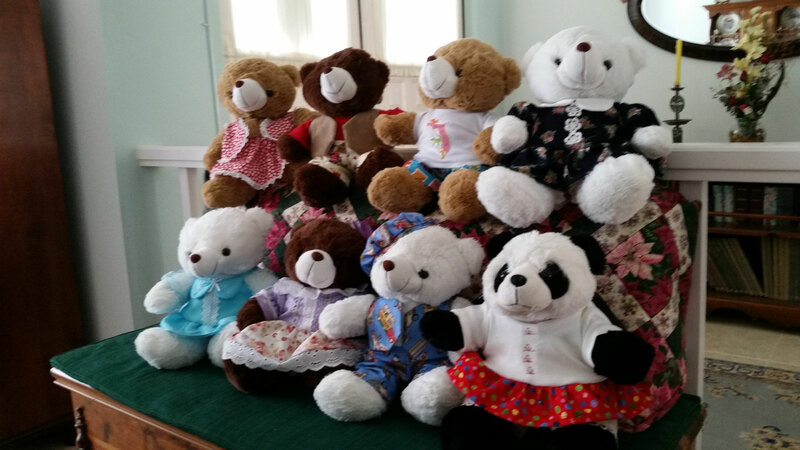 The Layette Program is open to anyone needing assistance and provides expectant parents with a portable crib and layette. 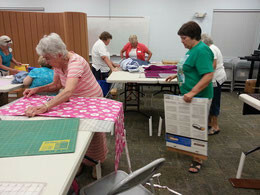 Members make tote bags for the Beneva Christian Food Pantry. 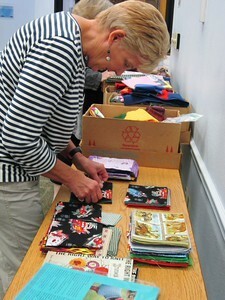 Every year they donate nearly 80 tote bags. 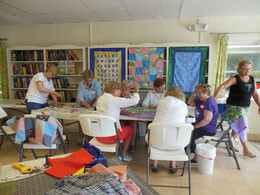 Sew Chic hosted an annual sewing bee in their community to turn out 35 quilts for Project Linus. 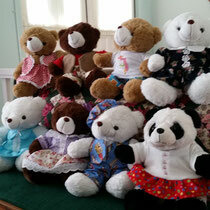 They also made 72 items for the Venice Area Pregnancy Center. 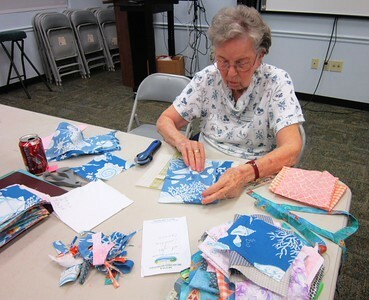 Pins & Needles made hundreds of pillows for patients in the Breast Care Unit of Manatee Memorial and beautiful blankets for the Women's Center & Pediatric Unit at Lakewood Ranch. Anything Sews made pillow cases for heart/cough pillows for Sarasota Memorial Hospital’s cardiac unit and dressed up Charity Care Bears for the Salvation Army. 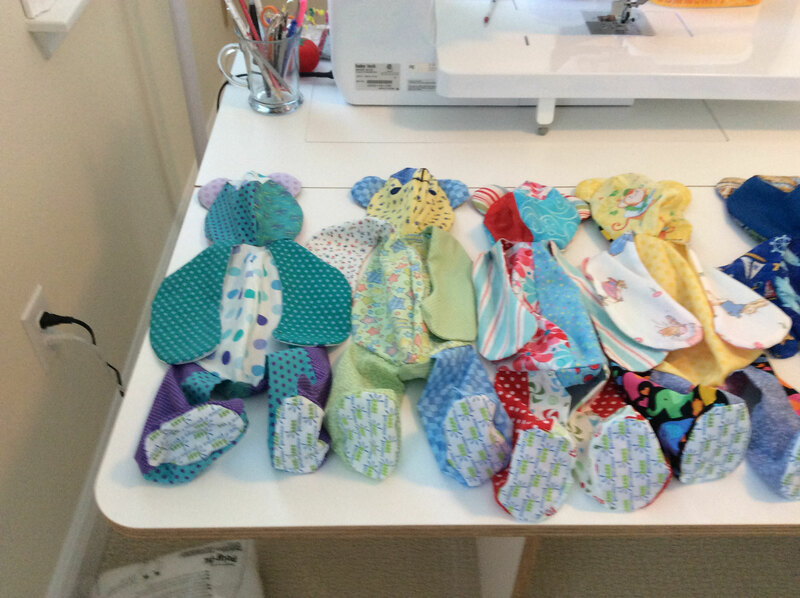 Creative Sassy Sewers made hundreds of kits for the youth sewing camp classes needed by the 30 students in our June sewing camps. 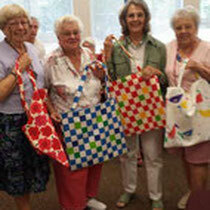 Sew What's New made tote bags for the Beneva Christian Church Food Pantry. 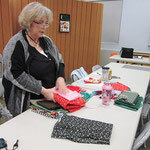 (A Special THANKS to Greg, Owner of Creech & Co for donating all the fabric and cutting them into the size needed). 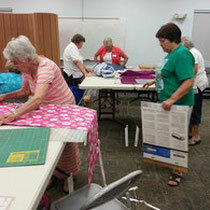 Members donated hundreds of hours sewing for the KIDZ Quilts. 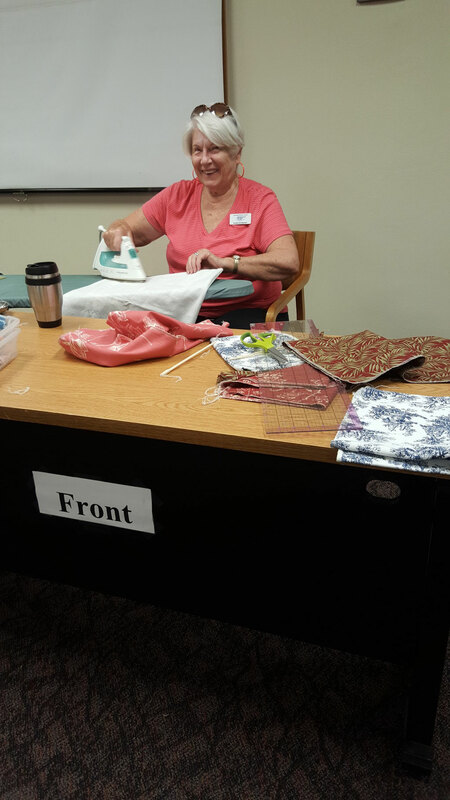 Individual members, Paulette & Sandi sewed costumes for a Bradenton theater and Riverview HS Performing Arts students. Sew Chic hosted an annual sewing bee in their community to turn out hundreds of pillow case dresses for the Little Dresses for Africa program. 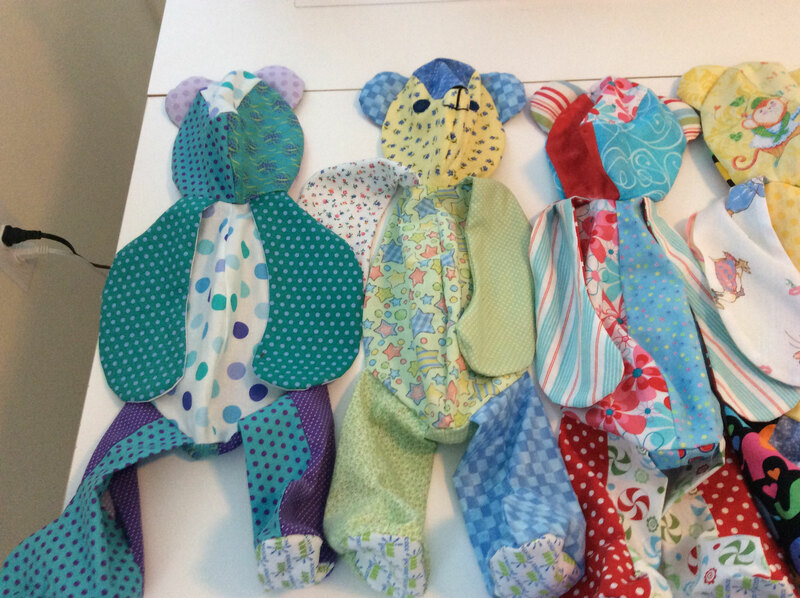 In 2014 they also made dog beds & bandanas for Royal Pet Rescue in Sarasota. 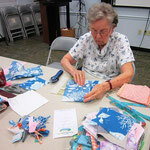 Every year Pins & Needles makes hundreds of pillows for patients in the Breast Care Unit of Manatee Memorial. 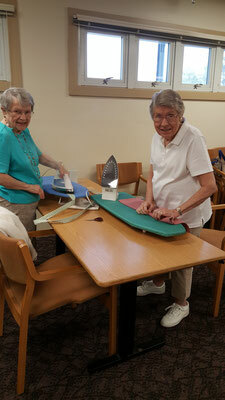 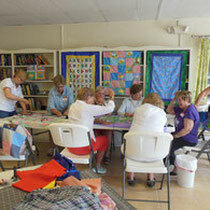 In 2013 Anything Sews made pillowcase dresses for local programs and sewed checkerboard lap quilts for the veterans at the Pines Bay VA Center in Tampa. 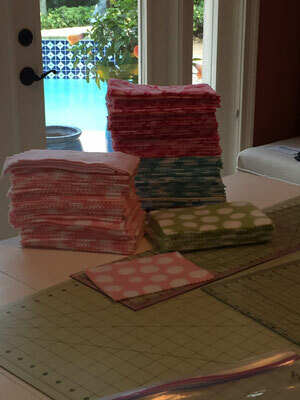 In 2014 they made heart pillows. 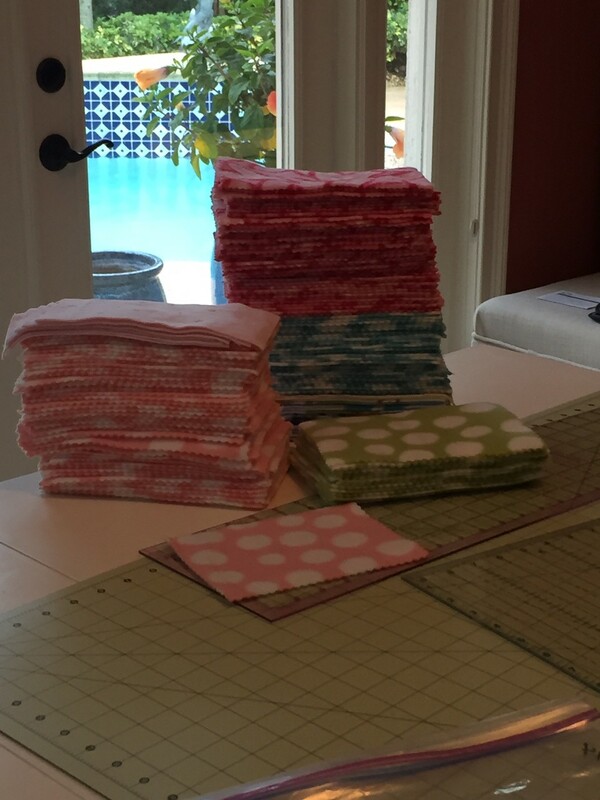 Creative Sassy Sewers make hundreds of pillowcase kits which our young camp sewers finish up and distribute under the Conkerr Cancer program to Lakewood Ranch's Pediatric Oncology unit. 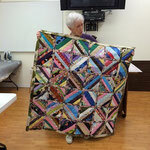 They also cut out the kits used in summer camp. 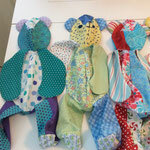 Sew What's New spends hundreds of hours sewing for the KIDZ Quilts and in 2014 they also sewed medical dolls to help young children understand medical procedures they are facing.